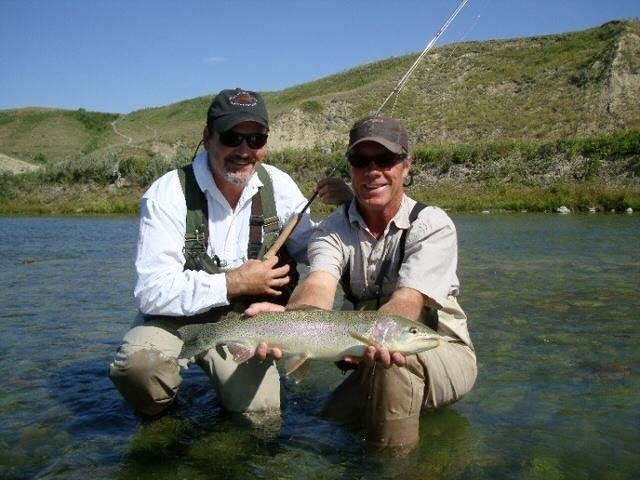 Flyfishers call the trout laden waters of Southern Alberta the “Montana of the North”. These “tailwater” rivers are fertile with abundant aquatic insects which makes an astounding fishery from June to mid-September. Because of limited access to the best trout fishing waters, it is unlikely you’ll see another angler during your daily outing. The following are some of the rivers the guides will be selecting, the Old Man, Crow’s Nest, Belly, Waterton and the St. Mary’s to name a few. Most flyfishers who recently fished the Southern Alberta waters will tell you, “this is what Montana use to fish like 20 years ago” A must for all trout flyfishers! Fishabout and Outfitter, Cam Jensen of McGrath, Alberta, offer the best selected weeks each season. Each of the weeks are 5 days of expertly guided fishing, limited to 6 anglers, using convenient and comfortable inns for accommodations and meals. Daily fishing is guided by wade-walking or floating selected rivers. These tailwaters are prime dryfly fishing, with “Hopper Mania” being the most popular, starting in mid July and lasting through September. The majority of the fishing is done with 4,5 and 6 line outfits, but on certain rivers and time of the year, nothing under a 6 line should be fished due to the size of fish and water. The rivers are freestone with riffles and long slow moving deep pools with scattered boulders, which makes for ideal aquatic food habitat and fish holding water. 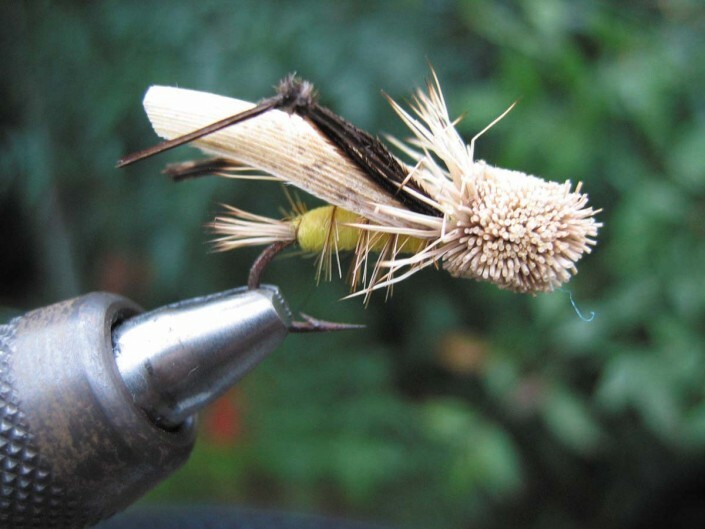 Starting in early June with pale morning dun, caddis and stoneflies, July with tricos, blue wing olives, followed in August with the peak of the large hopper hatch and continuing into September. Generally, summer weather is cool sunny days with the the low to mid 70’s, but changes can occur in mountainous regions rapidly, so always travel prepared and pack the proper clothing for both fishing and relaxing. The local Mountain View area is miles of fertile rolling hills, with flourishing fields of wheat and grazing grasses. The melting snow of late spring fills the many reservoirs and the valuable water is released as demanded by the farm’s needs; thus producing this wonderful fishery that is touted as one of the best in North America! Each week is limited to only 6 anglers, to keep a minimum of fishing pressure on the best rivers. 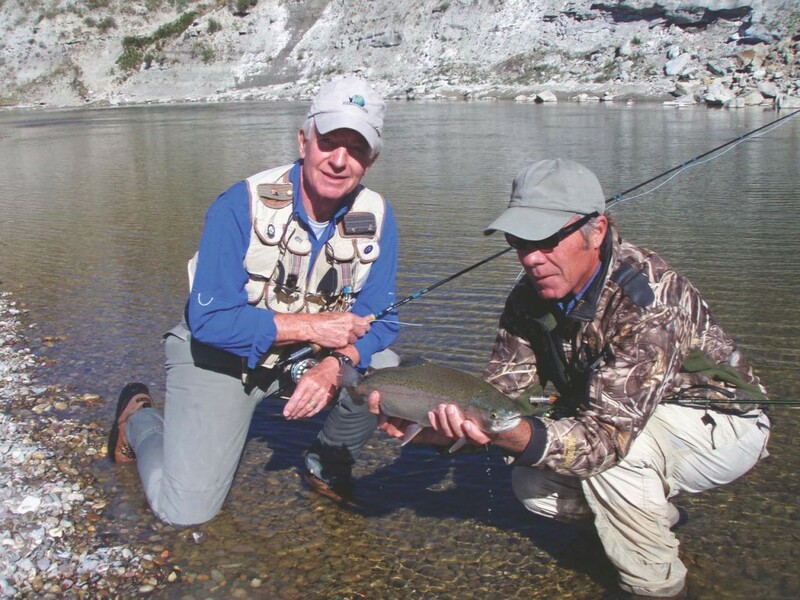 The majority of the rivers will be on “private posted” locations so the outfitter and guides maintain their set-rotating schedule on where to fish. This practice has raised each angler’s success rate tremendously the past several seasons. The rainbows in the St. Mary’s River are fat, powerful, acrobatic and battle from the moment you set the hook until you’ve landed them… the makings of heart-stopping experiences. 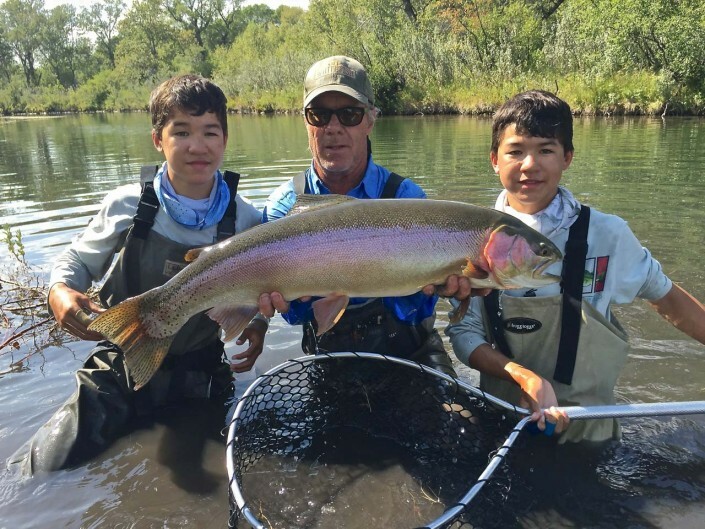 Cam and his knowledgeable guides also offer many opportunities to fish for cutthroat, cuttbows and browns on other nearby rivers. We return every year to fish with Cam and his crew… put this trip on your ‘bucket list’. I’ve fished with Cam for eight seasons in a row and still believe his river has the best dry fly fishing. It’s a river where you can cast PMD’s, caddis and trico’s to pods of rising fish and you can cast hoppers to any ‘fishy looking’ water and expect a takedown. The fish are big and strong and plentiful… it’s like steelhead fishing with trout tackle. We all had a great time in Alberta… big nasty fish. The lodge was good… no complaints! Thanks. 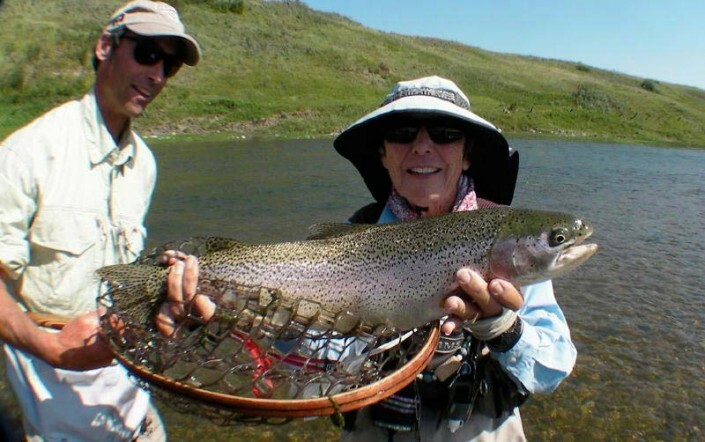 Fly fishing guests, fly to Calgary, Alberta and drive their rental auto to Beaver Mines, a community located in southern Alberta, near the entrance to scenic Waterton Lakes National Park. 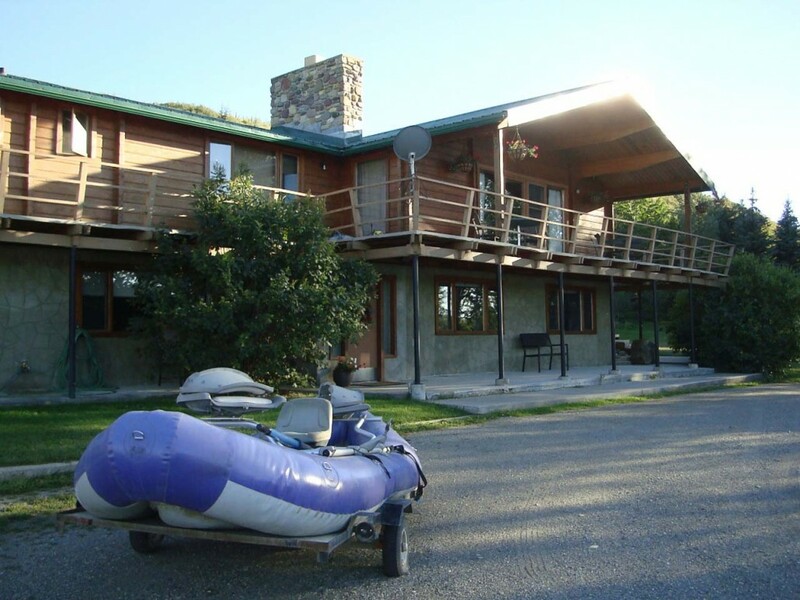 Anglers can also choose by flying into Kalispell, Montana, visiting Glacier National Park, before driving to the selected Mountain View facilities, if they wish.